Great news! The birds are back! 2017 and 2018 showed amazing numbers of Willow Ptarmigan in all three geographical locations that we hunt. For those hunters willing to work hard we are still able to put you on White tails and rock ptarmigan with good success. Truthfully, I don’t think I’ve seen willow Ptarmigan numbers any better than this in that 25 years that I’ve been hunting them. Get your legs in shape and Break a few clays and sign up for what is likely to be another fantastic season next year because bird numbers usually stay stable for decades. 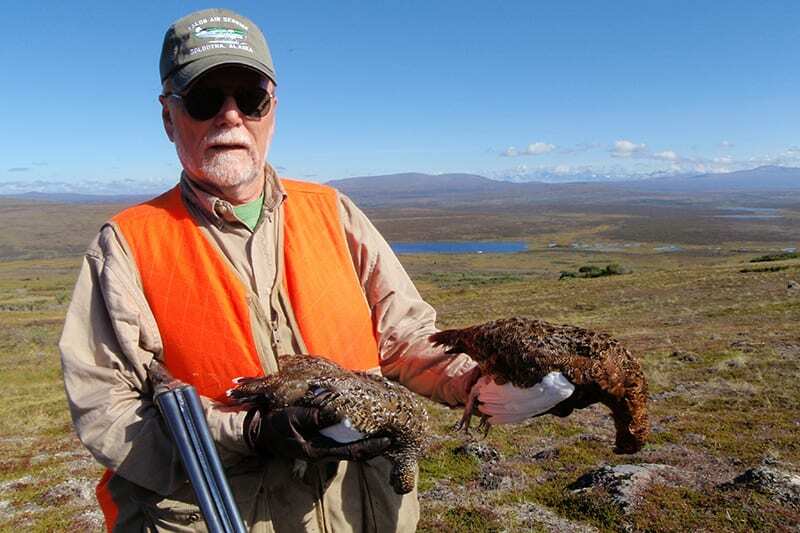 Another consideration for fall guests is the opportunity to add some Alaska Ptarmigan Hunting to a fishing venue. 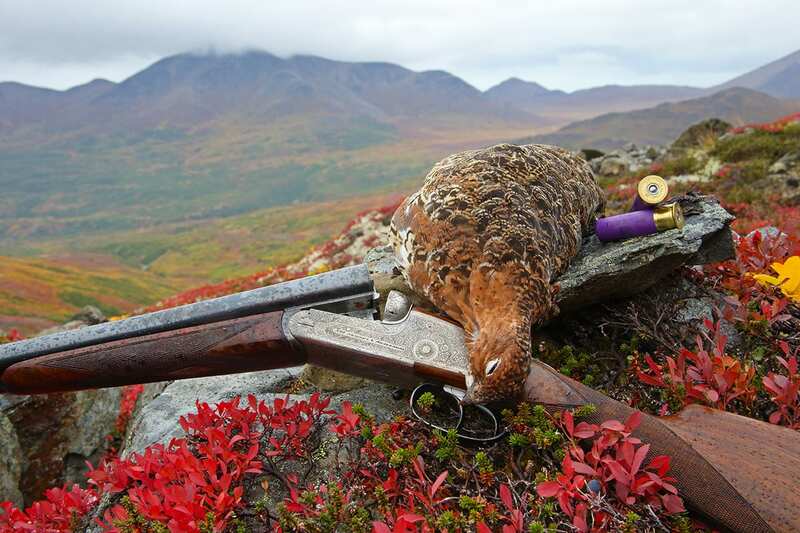 We begin Ptarmigan hunting in Alaska in late August. They are plentiful birds that inhabit spectacular country. 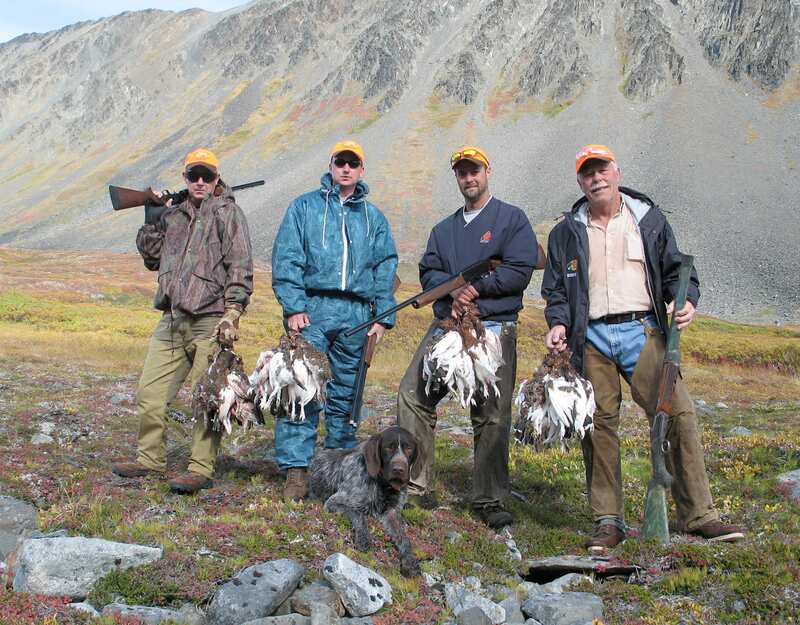 There is a generous bag limit of 10 birds per day in the Kenai Mountains, while across the Alaska Range the limit is 20 birds per day. You may be flown from the lodge, by floatplane, into the Kenai National Wildlife Refuge, to a permitted area on the Chugach National Forest or Lake Clark National Park by your pilot guides, Bob Ledda and Jay Mahan in our Dehavilland Beaver or Super Cub. Hunters can expect to see large numbers of Willow Ptarmigan and can usually see Rock Ptarmigan as well. Whitetail Ptarmigan are available but inhabit more difficult terrain and are not as reliable. You may bring your own dog if you like or hunt over one of ours. We can also supply shotguns. Ptarmigan inhabit extremely physically challenging terrain and you should be in good physical condition. Our hunting guides recommend a rugged, Vibram sole, hunting boot for this trip with good ankle support. September 1st is the opening day of Duck season in Alaska. The Kenai River offers decent duck hunting for Puddle Ducks. 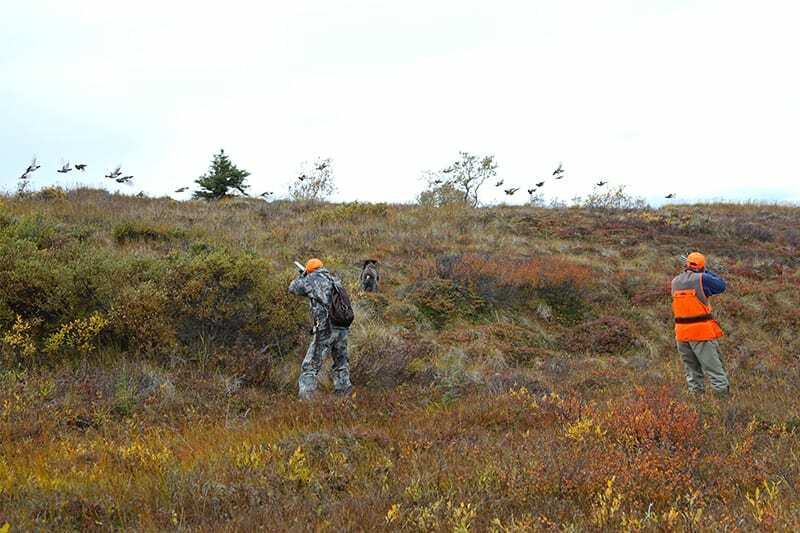 A final consideration for the wing shooting enthusiast is Spruce Grouse hunting. We hunt the Kenai National Wildlife Refuge road system for these unique birds. 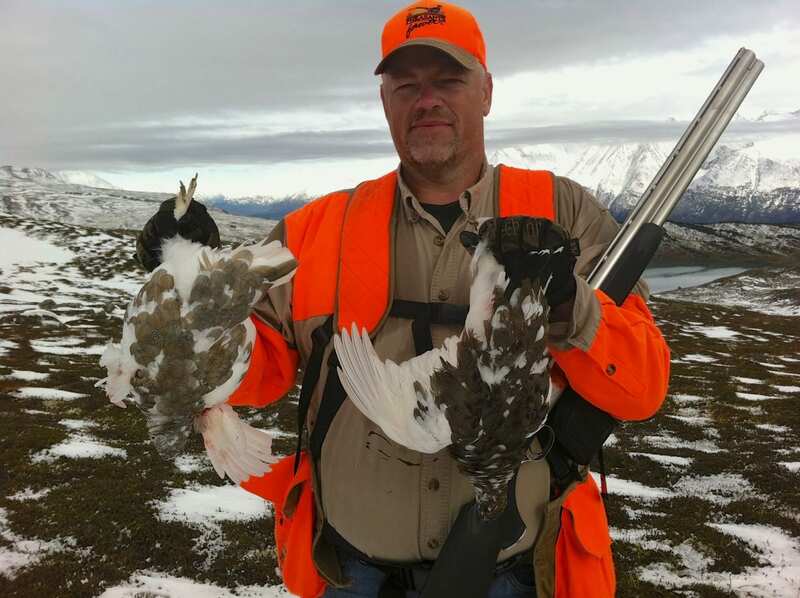 Along with Ptarmigan, the season opens on August 10th, but by far the best hunting is during Sept. and early Oct.
– Non- resident, small game licenses are currently $60 (do not buy a regular hunting license as that will cost you $85) and an Alaska duck stamp is $10. A hunter may use his federal stamp in all states ($15). Note – Late September is an excellent time for combination wing shooting / fly fishing packages with beautiful fall Peninsula views, and no crowds. 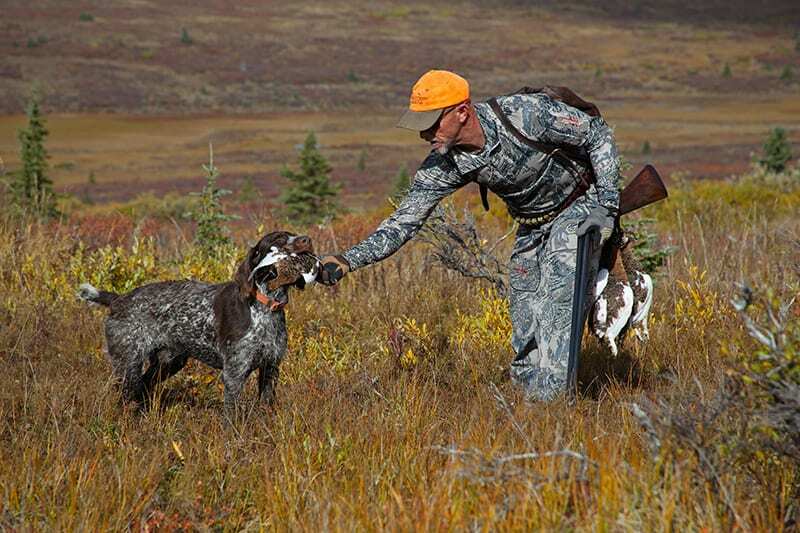 Special customized packages can be arranged to create the outdoorsman’s perfect trip.